The UBC Ecuadorian Students Association (ESA) held a gathering in support of missing UBC student Louis Gonick outside of the Vancouver Art Gallery on Sunday afternoon. 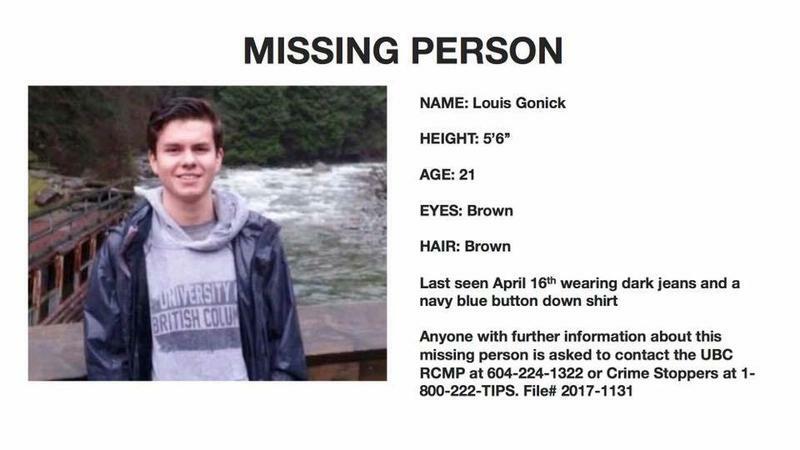 Gonick, a 21-year-old UBC student and VP Internal of the ESA, was last seen on the evening of Sunday, April 16 in the UBC area. Supported by the Ecuadorian Association of British Columbia, dozens of UBC students and community members handed out flyers with Gonick’s picture and spoke to passersby about his disappearance. Organizers stressed that expanding the scope of the search beyond UBC will be essential to finding Gonick. In addition to the gathering, the ESA has also organized a GoFundMe campaign to support Gonick’s family — who are coming from Ecuador to help look for him — with travel costs. As of this morning, the campaign has surpassed its $5,000 goal. While Gonick’s mother has not yet arrived in Vancouver, Gallegos Marín stressed that the gathering and fundraiser are about spreading the word and maintaining morale among his friends and family both in Vancouver and Ecuador. Anyone with further information about Gonick is asked to contact the UBC RCMP at 604-224-1322 or Crime Stoppers at 1-800-222-TIPS (file number 2017-1131).